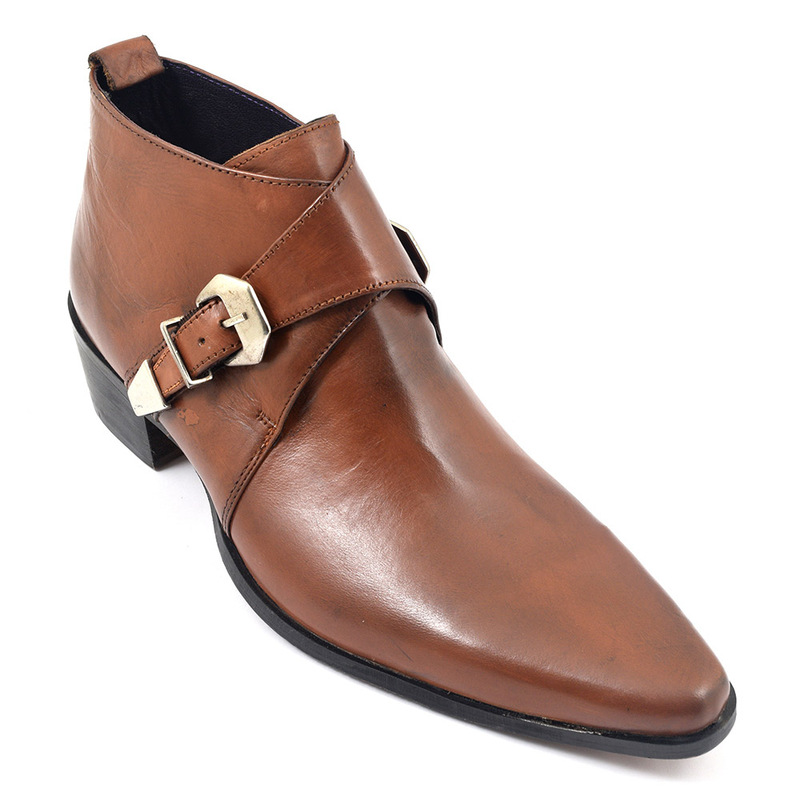 A funky pointed toe cuban heel boot in tan leather which has a silver buckle fastening. The heel is 4.5mm and the look is edgy western meets rock and roll. 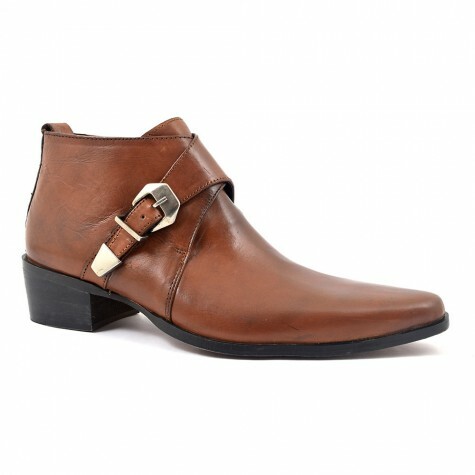 This tan pointed cuban heel boot is dramatic and has some style weight to it with a 4.5mm heel. The fastening is a silver buckle which adds to this vibe and the point is winkle picker style. Did you know these pointed style boots are called this because of the spike traditionally used to pick periwinkles from their shells! Also, centuries ago, pointed toe shoes were around that were about 2 ft long..held by whalebones or tied to your legs with ribbon (called Krakow) . Now that sounds a bit much to us but thankfully we have scaled down this craziness to a manageable cool in these tan pointed cuban heel boots. There may have been a time when men wore longer trousers to conceal the heel but no more. 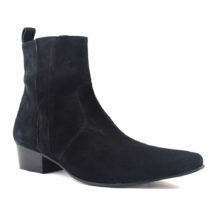 It is perfectly acceptable, no, its down right cool for men to wear cuban heel boots. The silhouette is probably better off fitted and slinky so think skinny or form fitting. 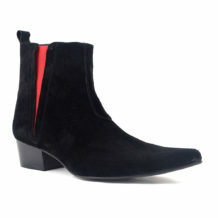 You can wear these with a suit and go for a mod vibe with a twist or you can just don a pair of jeans and go casual. However you wear these, be yourself! 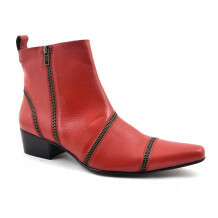 Be the first to review “Pere Tan Pointed Buckle Heel Boot” Click here to cancel reply.